We love to have events at our stores. We would love to have you join us on these upcoming dates! Details: Contractors are invited to join us for a lunch – and – learn session! 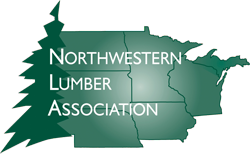 We will have Easter lunch, Green eggs and Ham, and contractors can get information or installation tips on products from Deckorators / Universal Forest Products, Amerhart / LP Smartside, North Central Wood Products, and Dealers’ Choice / Owens Corning Shingles. Details: It’s spring, and that means it’s time for our garden centers to open for the season. Come out and take a look at the plants, flowers, trees and shrubs at our three stores, in Tomah, Sparta, and Richland Center. Please note that selection may vary by store. 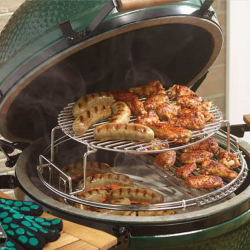 Details: Grilling season is here, and now is the time to take a look at the unique grill products offered by the Big Green Egg. Stop on by our Sparta store for tips and techniques on using the Green Egg Grill, and get FREE samples! Give it a try, so come on by! Details: Grilling season is here, and now is the time to take a look at the unique grill products offered by the Big Green Egg. Stop on by our Tomah store for tips and techniques on using the Green Egg Grill, and get FREE samples! Give it a try, so come on by! Details: Grilling season is here, and now is the time to take a look at the unique grill products offered by the Big Green Egg. Stop on by our Richland Center store for tips and techniques on using the Green Egg Grill, and get FREE samples! Give it a try, so come on by!